Dreary days require good food and good wine, but not too adventurous. It's a time to hunker down for comfort and maximize value. Spring will be here soon although in the upper Hudson Valley it seems to come later and later with the skies barely lighting up during the day until we reach the month of May. So, come in and get some good, inexpensive wines that deliver great flavor and value and, in keeping with my mission, are off the beaten track. 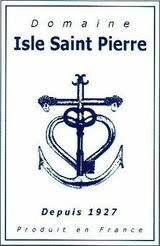 Isle St. Pierre Rouge 2015 - from an island in the Rhone River. A lovely blend of Cabernet Franc, Merlot and Petit Verdot, not too heavy, smooth and warm, a comfort wine that pairs well with roasts, mushrooms or cheese. $10.99. Li Veli Orion Primitivo 2015 a full bodied red from Southern Italy with ripe, fleshy red fruits followed by spicy notes and a long finish. Good with hearty fare. $11.99. Anne Pichon Sauvage 2014 - a beautiful blend of Syrah and Grenache from the Cotes du Ventoux in the Rhone. 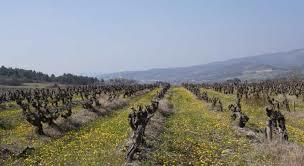 All her wines are made with great finesse and organically grown grapes. A full bodied with a fresh and easy style without too much alcohol. $13.99. 53 Main Street Chatham, NY 12037 | tel: 518.392.2841 | email: chathamwine@fairpoint.net |. Simple theme. Powered by Blogger.